Ships tomorrow if you order in the next 19 hours 25 minutes. Let's face it - stress is just a part of life. Whether it's finance, work, home or health related, stress can take a negative toll on your body and deplete your adrenal function. 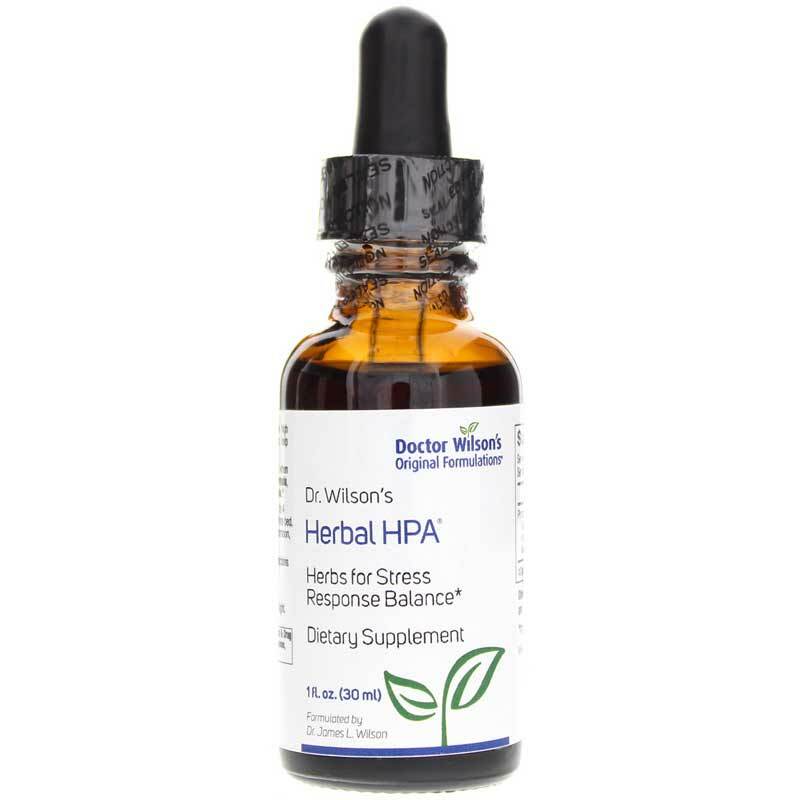 Herbal HPA by Doctor Wilson's is scientifically designed to help support adrenal function during stress without depleting energy levels. It has been used successfully by people experiencing stress, adrenal fatigue and menopause. This formula measures support on the HPA Axis - which is the Hypothalmus, Pituitary and Adrenal glands. These essential glands can be most depleted during times of high stress or anxiety. Thankfully, Dr. Wilson has combined precise proportions of these organically grown, adaptogenic herbs into an easy to take liquid supplement designed to optimize their usefulness. Each herb in this formula has been shown to nourish and help support replenishing the adrenal glands without over-stimulating them. Together, these herbs team up to help support protecting you from the daily assault stress makes on your body and mind. 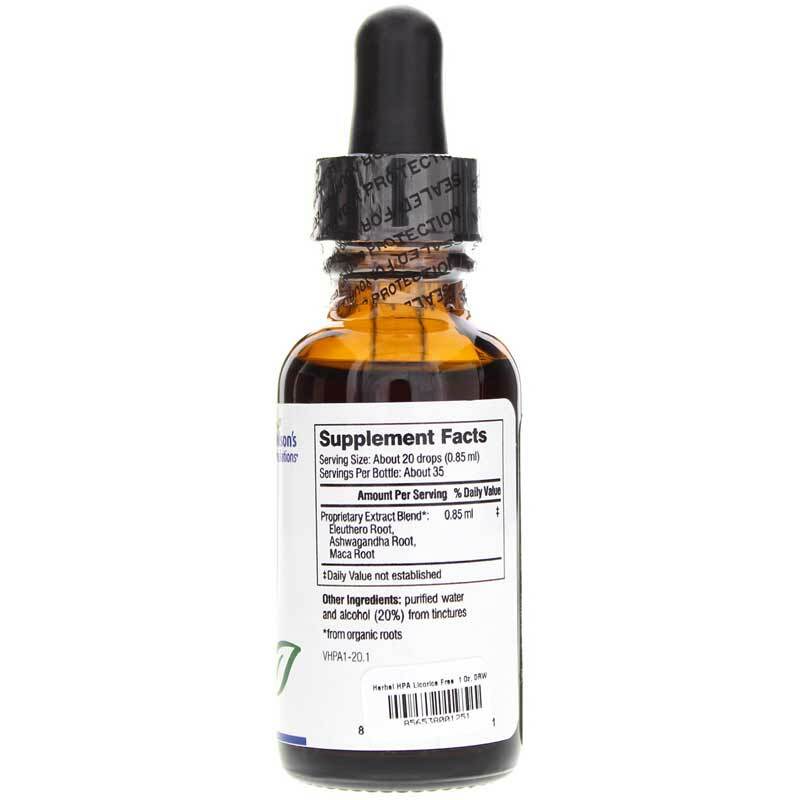 This supplement contains helpful ingredients, such as Eleuthero, Ashwagandha and Maca. These ingredients have been known to assist healthy responses to stress. Add Herbal HPA to your cart and discover the calming features of this all-natural supplement. Your adrenaline will thank you for it. 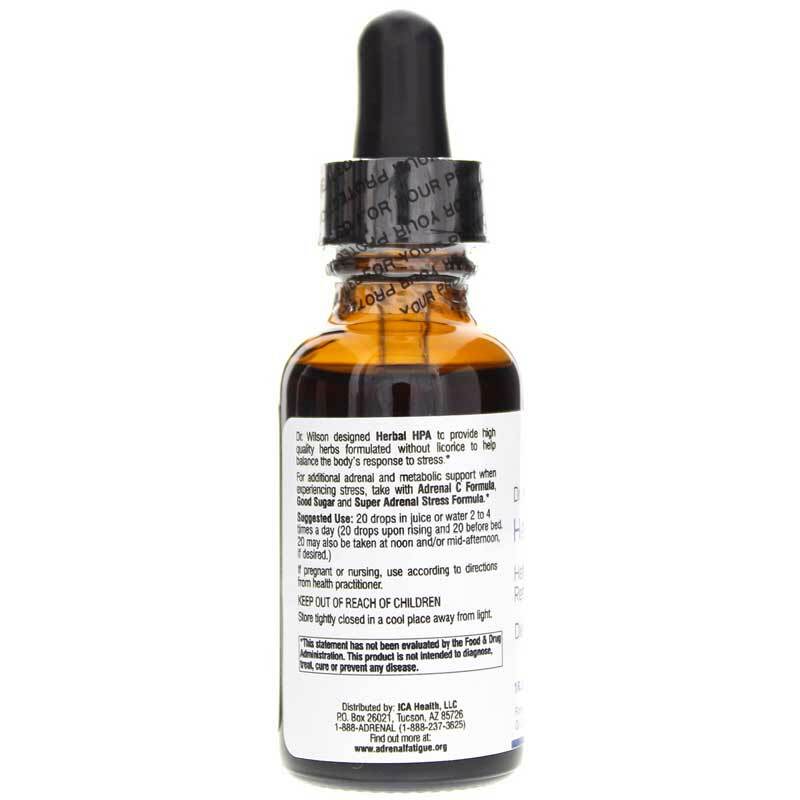 Other Ingredients: purified water and alcohol (18.5%) from tinctures. Contains NO: dairy, eggs, sugar, salt, wheat, gluten, nuts, yeast, corn, soy, or artificial colors, flavors or preservatives. Vegan. I am glad my doctor recommended Dr. Wilson's Herbal HPA. Easy to take.